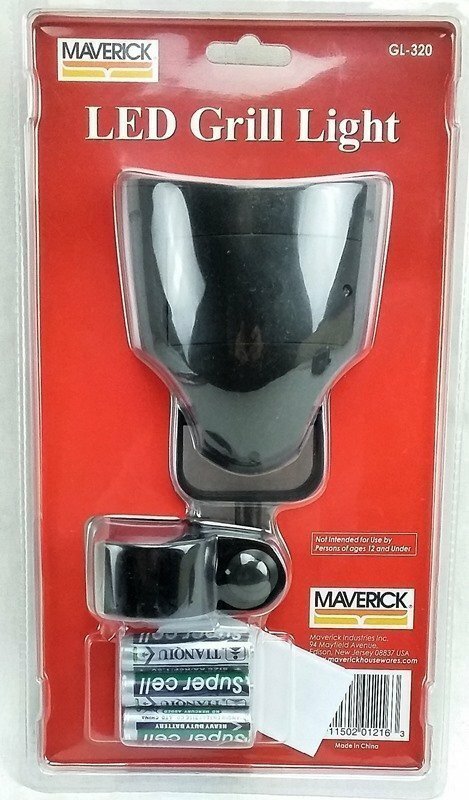 The handle mounted LED barbecue grill light by Maverick GL-320 has a clamp on design that will allow you to mount this light to practically any grills handle. 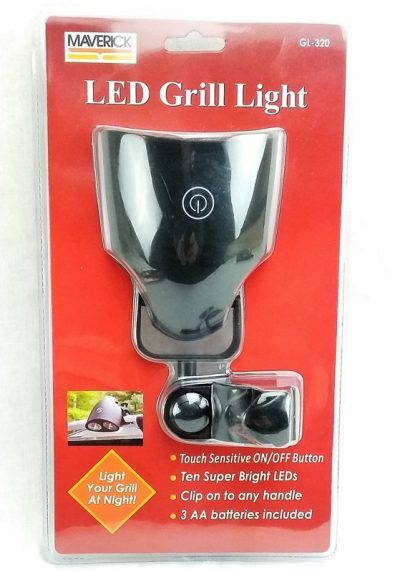 By mounting the grill light to the handle it will light the cooking surface and stay out of your way while grilling. 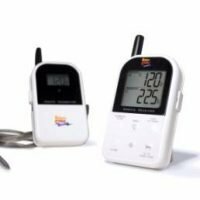 Runs on 3 AA batteries that are included. We recommend handle mounted barbecue grill lights for use on gas grills, they are much more convenient than a traditional clip on grill light. 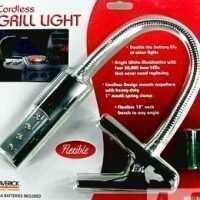 When in use you just turn it on and open your grill and the light shine down from above. 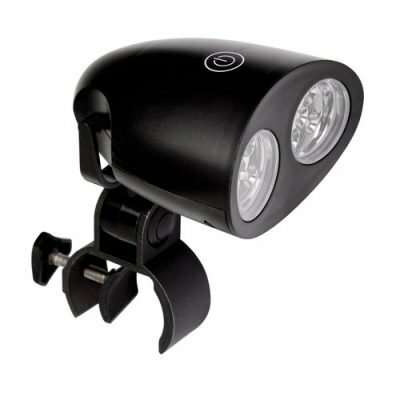 This particular light has a large opening round screw on c-clamp that allows it to fit onto even those wide plastic grill handles. The mount itself pivots in two places allowing you to direct the light just about anywhere, even onto the side table. 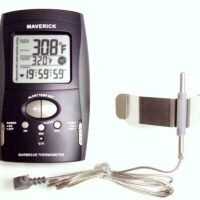 It also lets you keep the barbecue grill light mounted to when using your grill cover, just bend it down and towards the grill. This light has 10 LED’s to provide you with super bright directional lighting. The large barbecue grill light head features a touch sensitive on/off button. The battery door is held in place with a small Philips head screw to ensure that they stay in place while opening and closing your grill hood. With its large plastic head and heavy clamping mechanism this grill light was made for taking some abuse.